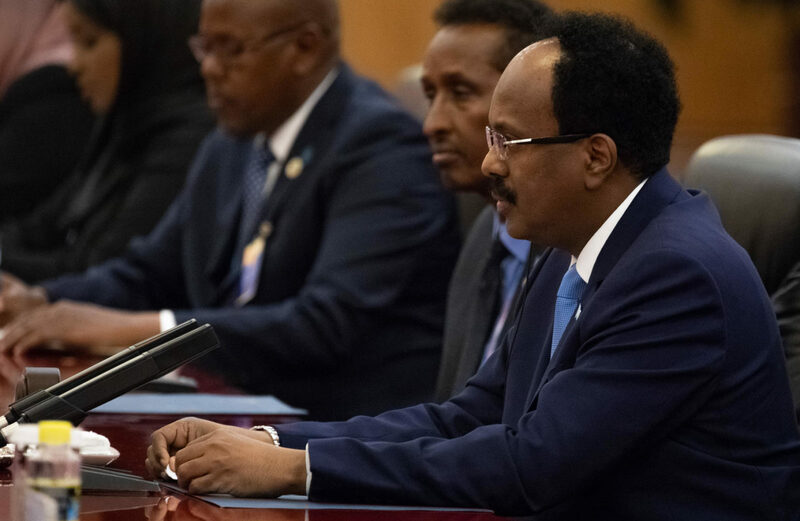 The announcement by Somalia’s Federal Member States in September that they’ve suspended co-operation with the Federal Government of Somalia has thrown the country into internal crisis. Amid numerous complaints, the member states are unhappy with resource and power allocation within Somalia’s federal structure. They also accuse President Mohamed Abdullahi Mohamed’s administration in Mogadishu of a lack of co-operation, and even outright interference in their local affairs. While the dispute has played out differently in each of the member states, the ramifications have been most profound in Galmudug. Internal divisions in the Galmudug Interim Administration have been elevated by the dispute, with factions taking opposing sides in the debate. The roots of Galmudug’s crisis are complex, but the current rift stems from mediations last year between the Galmudug Interim Administration and Ahlu Sunna Wal Jama (ASWJ), held under the auspices of the Intergovernmental Authority on Development (IGAD). In December 2017, a 14-point agreement was signed that integrated ASWJ into the Galmudug Interim Administration, uniting a state administration that had been divided since its formation in 2014-15. The integration of ASWJ proceeded in a positive manner, but it also created new divisions. The December agreement was based on a power-sharing arrangement, enticing ASWJ in part by allowing its leader Sheikh Mohammed Shakir to become chief minister. ASWJ also secured other key positions, while the state assembly and security outfits were expanded to include ASWJ members. But an IGAD representative involved in the mediation process told the Institute for Security Studies in Mogadishu that the creation of the chief minister position was the key dynamic, and “is how we unlocked it (the negotiations)”. This was an important development, as ASWJ had previously rejectedthe Galmudug Interim Administration’s formation, feeling marginalised by the process. Given the military strength of the ASWJ’s position on the ground, it was imperative to come to an understanding in order to unite the administration, especially after previous integration agreements had floundered. While the ASWJ-Galmudug Interim Administration reconciliation was a positive story, it produced new losers in the administration concerned about diluting their status in the new arrangement. This has led Galmudug to be divided between a faction in Adado, worried about becoming marginalised as the Galmudug Interim Administration was temporarily based here, and a second in Dhusamareb, the presumptive new capital following the ASWJ agreement. A series of attempted no-confidence motions have flown back and forth between Galmudug’s Speaker of Parliament Ali Gacal Asir, who has remained in Adado, and its President Ahmed Dualle Haaf, now based in Dhusamareb and supported by the ASWJ. The Adado faction even went ahead with plans to elect a new Galmudug Interim Administration leader on 20 October, further adding confusion to the status of the administration. The dispute has been exacerbated in the context of the Federal Government of Somalia-Federal Member States divide. Haaf was one of the member states leaders supporting the suspension of cooperation with the government in Mogadishu. His vice president, aligned with the Adado faction, criticised the decision. Since then, the member states have strongly accused the government of meddling in the Galmudug dispute in support of the Adado faction, in order to weaken, if not secure the outright removal of, Haaf. This has escalated the Galmudug Interim Administration divisions to a national level, with trust so low that Haaf recently rejected Mogadishu’s offer to mediate again. This echoed demands from other member states that a third party intermediary was needed before any future discussions with Mogadishu. The showdown has paralysed Galmudug, and in many ways overshadowed what was previously considered a success story in terms of managing local political constituencies. It illustrates one of the unfortunate realities underpinning current political bargaining in much of Somalia – a zero-sum mindset regarding resource access, meaning that bringing new entrants into the system is equated with losses for others. Former United Nations Special Representative for Somalia Michael Keating aptly summarised this dynamic when reflectingon his tenure in Somalia, noting that “for 20 to 30 years there’s been intense competition for power and influence and control, including for resources and revenue, over a pie that big”. His advice is for Somali leaders to shift from contesting the existing limited resources and instead focus on growing the overall pie through economic development and security improvements, so there is ultimately more to go around. This is sound advice that could immediately apply in the Galmudug context and beyond. All the more so given that initial results regarding the ASWJ’s integration had been promising for the Galmudug Interim Administration. IGAD Special Envoy to Somalia Dr Mohamed Ali Guyo attended an event marking the implementation of the agreement in January. He later noted to the ISS the high degree of unity and outreach each side had conducted with their respective constituencies over the previous month, aspects not apparent during previous deals. Unfortunately, the unity in Galmudug proved short-lived, as the success of the ASWJ integration ultimately reduced the size of the pie for others in the administration. Therein lies the crux of the country’s political disputes – both within the Galmudug Interim Administration and between member states and the federal government. But it is also potentially the solution. Instead of disruptive competition, Somali actors should rather focus on the tough task of growing the pie, as power-sharing arrangements underpinned by zero-sum thinking have clear limitations.